Hammond hasn’t had the best of luck, previously suffering a high speed crash where he nearly died shooting a film for Top Gear in 2006, as well as suffering a serious motorcycle crash while filming an episode of The Grand Tour in Mozambique earlier this year. 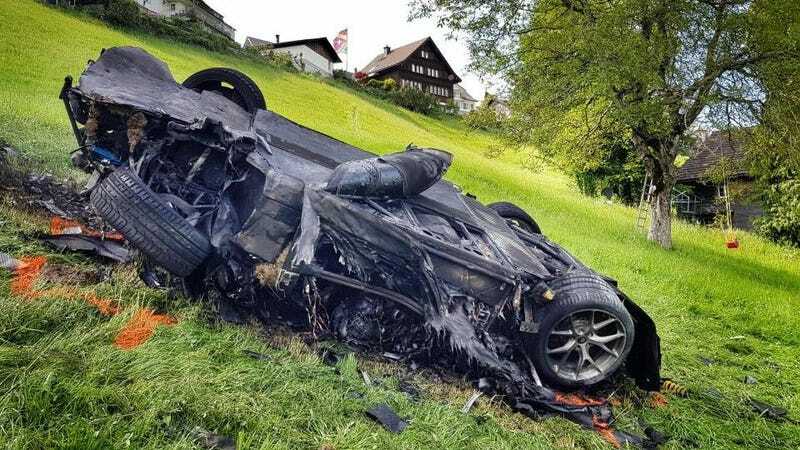 Luckily no one else was injured in the wreck, and it’s not yet clear what caused the extremely low volume 200 mph million-dollar electric Rimac to crash. The one thing that is clear is that Richard Hammond is a very, very lucky man. It will be interesting to see what makes the cut in season two of The Grand Tour.